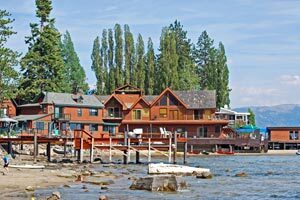 Now is the time to take advantage of the warmer summer season and get out on Lake Tahoe for water sports that you aren't able to enjoy in the cold snowy winters! Pack your bags and your swimming suits and head to Lake Tahoe to try out our top picks for things to do in the water that will be less accessible - or at the very least much more chilly - when fall and winter come around. Summer is coming to an end soon in Lake Tahoe, and while everyone is looking forward to the winter snow it would be a shame to miss out on the best of what summer has to offer. From a spa day to a simple quiet afternoon at the beach, here are a few of the more pleasant activities that visitors might enjoy before the ski season finally kicks in. South Lake Tahoe is no cheap place to travel… and it’s not hard to open your wallet and realize you’ve dipped into the kids’ college savings for a trip to Lake Tahoe (whoops… I promise I won’t tell them). Luckily the kids can go to college and Lake Tahoe, because there are a few free and many cheap things to do that don’t call for college money to fund. Just take a look outside, the great outdoors is calling (lucky for us Mother Nature doesn’t charge for walks in the forest). 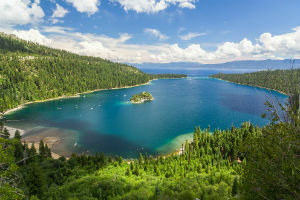 Located in the breathtaking Sierra Nevada, Lake Tahoe is the largest alpine lake in North America and often cited as the perfect getaway for the summer months due to its beautiful weather. With so much to do, there are countless places available that suit every type of vacation fantasy. 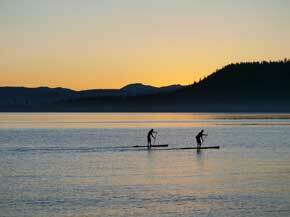 From family friendly hotels to romantic lodgings, Lake Tahoe has it all. Lake Tahoe Bachelorette Weekend 2014: A Fun Time Awaits! Planning a bachelorette party can be simultaneously exciting and stressful; the impending nuptials of you or your friend are something to look forward to, but how can you be sure to plan a great getaway weekend that will please everyone in the bachelorette party? 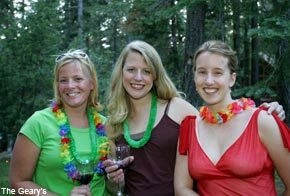 While Lake Tahoe may not be as obvious a choice for a bachelorette party as Las Vegas or another major city, it has all of the ingredients needed to make for a memorable final night of singledom. 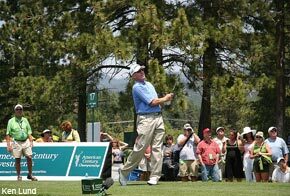 Lake Tahoe’s favorite golf tournament, the 25th annual American Century Championship will kick off on July 15th at Edgewood Tahoe in beautiful South Lake Tahoe. The 54-hole tournament runs through July 20th and includes over 80 of the biggest names in sports and entertainment including crowd favorites Jerry Rice, Larry the Cable Guy, and Ray Allen. The golf tournament benefits local charities and is arguably the most famous event of the year in Lake Tahoe. The event can be viewed LIVE on the NBC Sports Network while all event spectators must purchase tickets. 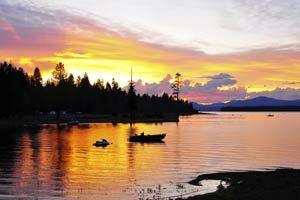 Where are the best fishing spots in Lake Tahoe? Lake Tahoe is a premier fishing destination, offering both locals and visitors the opportunity to catch a wide range of game fish. The area offers ample opportunity to catch a trophy, bring home dinner, or just spend a relaxing day on the water. 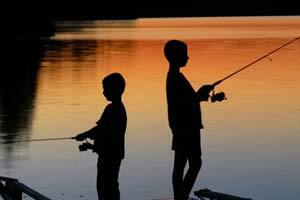 Exactly where and how you choose to fish should depend on the type of fish you’re looking to catch. Here’s a look at some of the area’s most popular hotspots. 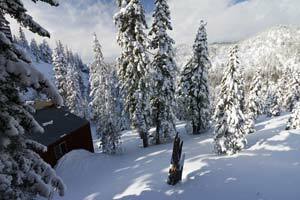 Lake Tahoe Ski Resort Closing Dates 2014 - Last Chance to Hit the Slopes! Huge Storm Brings in New Snow - Best Skiing/Snowboarding of the Season! Spring skiing and boarding offers sunny days and, thanks to this current storm, incredible powder and perfect conditions. 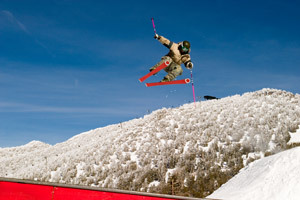 Most ski resorts are open through mid - April, with some staying open until the beginning of May. Mother Nature is granting us our wish, and with snow piling up as we speak this weekend is looking pretty promising for spring skiing and snowboarding. 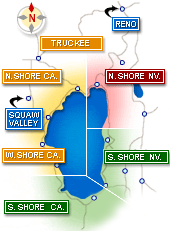 For current weather reports visit Lake Tahoe weather. 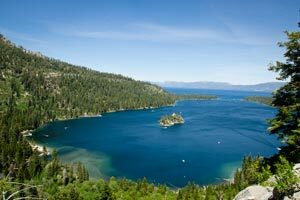 Lake Tahoe is around 1,645 ft deep, making it the largest alpine lake in the United States. And with that much volume, just imagine how many fish are swimming in that water! If you’re looking to try your luck at catching one of the many Tahoe fish, Mile High Fishing & Lodging is the place to go to reel in a big one.